About Lorri | Lorri Heller, C.HT . Lorri Heller is certified in Advanced Clinical Hypnotherapy, Ericksonian Hypnosis, Gestalt Therapy, and Neurolinguistic Programming. She received training as a personal and professional coach at the Coach Training Institute. In addition, Lorri trained with Gary Craig the creator of Emotional Freedom Technique, an energy healing process. Lorri is the past President of the Birmingham Chapter of the National Guild of Hypnotists and past President of the Westchester Chapter, located in New York. Lorri has been conducting self-help workshops on health and wellness since 1992 and teaches self-hypnosis and empowerment classes throughout the state. 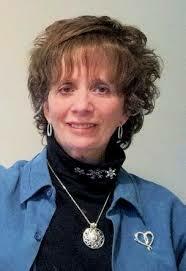 She has authored several articles for holistic publications and has been a guest speaker on radio. In addition, she has been featured on ABC 33/40 TV News and Fox 6 News. She maintains a private practice in Sedona, Arizona and offers skype or telephone sessions worldwide.